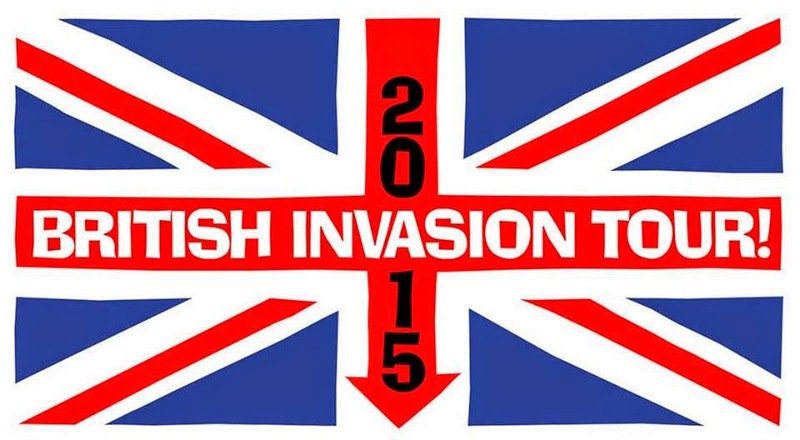 Tickets went on sale yesterday for The British Invasion Tour’s March 7th, 2015 date at City Winery in Chicago. The lineup will feature Peter Asher; Chad And Jeremy; Terry Sylvester of The Hollies; Billy J. Kramer; Mike Pender’s Searchers; and Denny Laine of Wings and The Moody Blues. I’ve seen all of the above at various times over the years at Fest For Beatles Fans - Chicago, but having them all perform in a single evening would be even more fun. Other dates on the tour include Boston, MA; Lancaster, PA; Tarrytown, NY; and Alexandria, VA.
Secret Colours, four young musicians who have already become masters of the psychedelic genre, are performing with Thin Hymns at the Portage Theater on Milwaukee Avenue tonight. 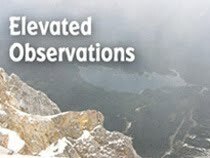 Positive Distractions, the band’s latest release, was favorably reviewed here on BHT on June 18th of this year. WXRT’s weekly Local Anesthetic program and Goose Island Beer Co. are sponsoring a double bill of Split Single and Bailiff at Lincoln Hall tonight. “Celebrate Your Heartbeat,” a brand new single from the Minneapolis-based synth rock band The Melismatics is now available on iTunes. The Webstirs, a Chicago-based band that describes its music as, “Hog-butchering pop to melt your jaded hipster heart,” will be bringing its catchy melodies and clever lyrics to the Live 27 venue in Evanston tonight. Weekend Vinyl is also on the bill. The music starts at 8:30 PM. The TesserAct Theatre Ensemble continues its run of The Christmas Schooner at Cutting Hall with shows tonight, tomorrow, and Sunday afternoon, along with three more shows next weekend. Also in Palatine, there will be a Pours 4 Paws benefit at d’Vine Wine and Gifts tomorrow from 6:30 to 8:30 PM. Admission is $30 at the door, and proceeds will go to help transport pets that American troops have adopted back here to the States. Grownup Noise, a Boston-based quintet that mixes elements of classical music within introspective indie rock songs, will be performing tonight at Uncommon Ground. WXRT air personalities Lin Brehmer and Marty Lennartz will be at the Park West tomorrow night co-hosting the 26th Annual Rock For Kids Rock And Roll Auction. The charity event will benefit Foundations Of Music, an organization that helps provide music education to children who might not otherwise have that opportunity. Best wishes for a speedy recovery to Bono. The U2 vocalist severely injured his arm in a recent bicycle accident that required extensive surgery, and will involve extensive therapy. Lights, camera, catchy melodies. People going to International Pop Overthrow Boston Power this weekend might want to dress in their most hip outfits. Justin Fielding will be filming there for his upcoming The Power Pop Movie. I posted about this documentary last Monday here on BHT. Eccentric UK musician Robyn Hitchcock has a gig tomorrow night at the Old Town School Of Folk Music, with The Astronomer as his special guest. Other shows coming up at Old Town School Of Folk Music include the Cherish The Ladies Celtic Christmas show on December 4th; singer-songwriter Linda Marie Smith’s multi-media fantasy Mearra - Selkie from The Sea (recommended for ages six and up) on December 7th; and alt-rock /country and western masters Over The Rhine on December 15th. There will a Honky Tonk/Country Show this Sunday evening at the Burlington Bar in Chicago. Cropduster 4 goes on from 7:30 to 8:30, followed by Dan Whitaker at 8:45, and Decoy Prayer Meeting at 10:00 PM. Admission is $7, which is right cheap. Local musicians Mike Cohen and Jeff Janulis will be pulling double duty at Simon’s Tavern this Sunday when they perform original power pop as The Abbeys and vintage cover versions as Everly Hillbilies. It’s a free show and the music starts at 9:00 PM sharp. Also on Sunday evening, veteran power pop band Sloan will be performing at Bottom Lounge, just west of downtown Chicago. Tickets recently went on sale for British comedian/Nerdist website founder Chris Hardwick’s show at the Athenaeum Theatre. Sons Of The Silent Age, the Davie Bowie tribute band that entertained in Daley Plaza on David Bowie Day, will be traveling up to Milwaukee early next year for a Pablove Benefit. It takes place on January 17th at Turner Hall Ballroom. WXRT has started playing tracks from its Live From The Archives Volume 16, which will be available at Chicago area Target stores on December 2nd. The limited edition CD will include performances by Suzanne Vega, Temples, Los Lobos, Jake Bugg, Modern English, and John Butler Trio that were recorded at local venues or in the station’s own studio over the years. I still think WXRT should offer some sort of cool container for those of us who have collected the entire set. Put on your pork pie hat and dance off those Thanksgiving pounds. Chicago’s renown ska band Heavy Manners has a show next Saturday night, November 29th at Mayne Stage on Chicago’s far north side. The band will be selling and autographing copies of its heavier than now CD, which includes vintage hits like “Flamin’ First,” “Hometown SKA,” “Taking The Queen To Tea,” and “Blue Beat.” Run and Punch and NEO DJs Suzanne Shelton and Glenn Russell are also on the bill. Damn right, I got the drumstick. SOPRO Music will present its 32nd Annual Thanksgiving Chicago All Star Blues Revue next Saturday, November 29th at Sullivan’s Irish Pub And Eatery in Midlothian. As usual, several musicians are involved, including The Chicago Horns, vocalist-guitarist Joey Drada; singer-harmonica player Doug Lee; and vocalists Peaches Staten, France Marie, and Deb Seitz. Plus there will prize giveaways. The event starts at 9:00 PM. The online magazine Empty Lighthouse reports that Graham Nash will be on Howard Stern’s Howard 101 Show at 3:00 PM Eastern time on Wednesday, November 26th, performing acoustic versions of his solo material as well as songs from the recent CSNY 1974 box set. Johnny Marr will likely be performing songs from his recently released Playland CD as part of a WXRT Concert for the Kids at The Vic Theatre on Tuesday, November 25th. Those attending are being asked to bring a new or like new toy or book that can be given to children in Chicago area hospitals. Marr, a founding member of The Smiths, notched the top spot on my BHT Favorite Releases of 2013 with The Messenger, and he continues his atmospheric 1980s approach on Playland with energetic songs like “Back In The Box,” “Dynamo,” “This Tension,” and the title track. The Chicago-based funk rock band Honey And The 45s have a release party for its new MAD album coming up on December 5th at Metro. The Bangles served up a fun and interesting nostalgia trip with the two-part video Q and A session that can be seen on their Facebook page. Fans were asked to submit questions about the band’s earliest days, as part of a promotion for Ladies And Gentlemen... The Bangles, a digital-only rarities collection that will become available on Thanksgiving Day. Susanna Hoffs recalled feeling embarrassed knowing Marshall Crenshaw was in the house at a concert where The Bangles’ sound system wasn’t functioning. Hoffs, Debbi Peterson, and Vicki Peterson played Jefferson Airplane’s “White Rabbit” when they got together for the first time, and the band once rehearsed in a crawlspace. Three bands will gather ‘round the Festivus Pole at Durty Nellie’s in Palatine on December 28th. The all-ages show, which features Omega 3, Rough Draft, and Wett will run from 5:00 to 10:00 PM, and there is no cover charge. Dog And Butterfly, a new children’s book from Ann and Nancy Wilson based on the Heart song of the same name, is now available for pre-order from the band’s official website. An autographed hardcover edition is $25, a paperback edition is $15. Go Time! has returned with an ambitious 19-track effort titled Ratsel that explores new territory while maintaining the band’s hard-edged power pop approach. I plan on during a review here on BHT in the near future.